The 2009 National Photographic Portrait Prize exhibition had 56 photographs that had been short-listed from over 1,000 entries. 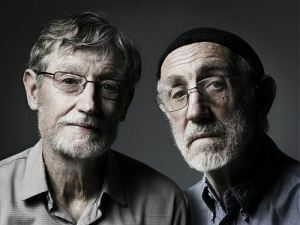 I would have given the prize to a picture singled out by the judges to be highly commended: Gary Grealy’s photographic portrait of Sydney art gallery directors Frank Watters and Geoffrey Legge, which the judges thought to be a close runner-up to the winner. I agree with the judges that “the portrait invites the viewer to enter into the empathy between the two portrait subjects-the two faces are similar yet subtly different. The photograph’s strong classical composition and technical distinction are highly impressive.” Indeed so. 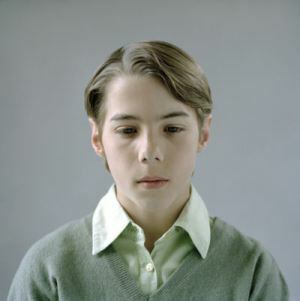 Curator Christopher Chapman noted that the 2009 exhibition “vividly portrays the intensities of youth.” I found Petrina Hicks’s portrait, simply titled ‘The Boy’, to be quite arrestingly beautiful. But is it the picture that is beautiful, or the boy? 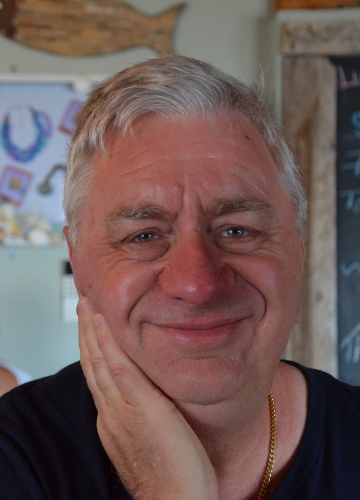 When looking an interest in portrait, I never quite know whether it is the artist’s work or the subject of the portrait that is arousing my interest. I don’t enjoy portraits in which the artist’s style indulgently takes attention away from the subject. Yet, a good portraitist draws upon and interprets the subject, of course.